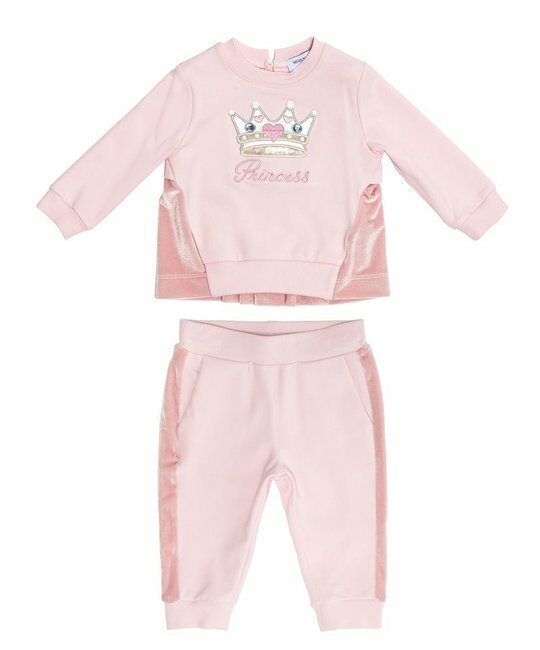 Monnalisa soft pink two piece jogging suit with graphic print detaling. 95% Cotton, 5% Elastane/Spandex. Imported.